Minimum quantity for "Anti-acne Lotion - Aloe Vera" is 24. For all skin types. 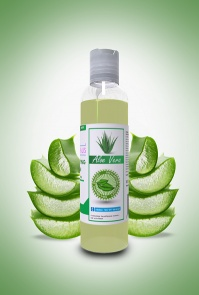 Immediate action of aloe vera helps fight against pimples and blackheads. Healthy, repaired, smooth and soft skin. For use on cotton twice a day (morning awakening and evening before bedtime). Madlyn Cazalis does not use any colorant, the 100% natural color is the exclusive fruit of plants.